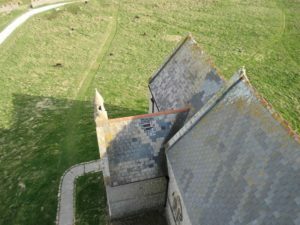 Lundy Church Needs Your Help! 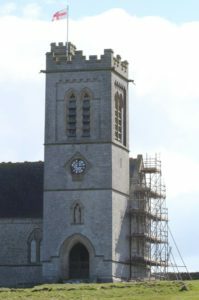 Can you help the restoration of the church to secure its future and to ensure the bells continue to ring? Since the restoration of the long unringable bells, the church on the island of Lundy has been a very popular location for visiting ringers. Whether it’s the unique location, the bells, or something else Lundy has welcomed thousands of visiting ringers over the past two decades. The original eight bells were installed in 1897 and were cast by Charles Carr of Smethwick. The only peal was rung in 1905, conducted by the Revd F.E. Robinson, before the bells became unringable and for a number of years sat on the floor of the porch. Led by Andrew Wilby, ringers worked to restore the bells in 1994 and then augmented them to ten with two well-matched trebles in 2004. Each year a number of ringing groups visit as day trippers or to stay on the island, some returning annually. The bells are freely available for ringing thanks to the installation of effective sound control, and since restoration 264 peals have been scored. The church, dedicated to St Helen (and known to some as St Helena’s), represents 1,300 years of Christian presence on Lundy. It is a notable feature not only in the landscape of the island but also of the seascape of the surrounding Bristol Channel. The church is currently in a very poor state of repair; the condition of the roof is so bad that a severe storm could strip off sections and expose the building and its interior to severe damage. Restoration work is now imperative to ensure its survival. 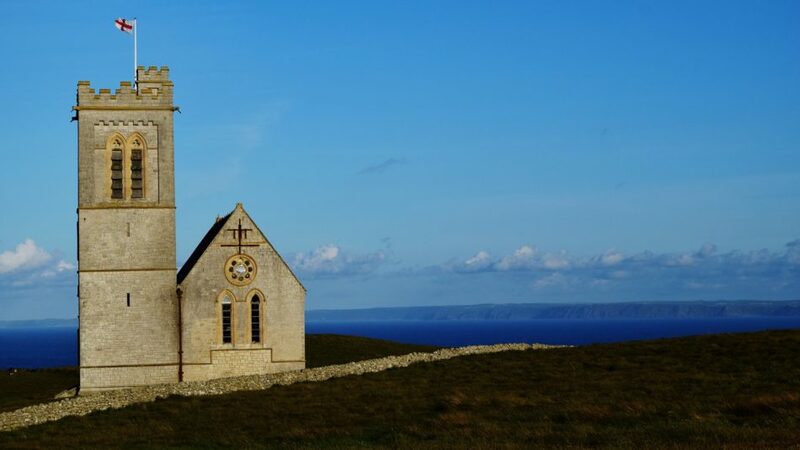 The parish of Lundy was created in 2013 and the PCC, which has three members who are bellringers, is leading the project to restore the church. After the first phase to repair the roof and structure, the building will be refurbished internally to provide a base for study to give a fuller understanding of broader environmental and conservation issues at the heart of Lundy’s existence. It will provide a centre for exhibitions, lectures and even a refuge for visitors to the island during poor weather. 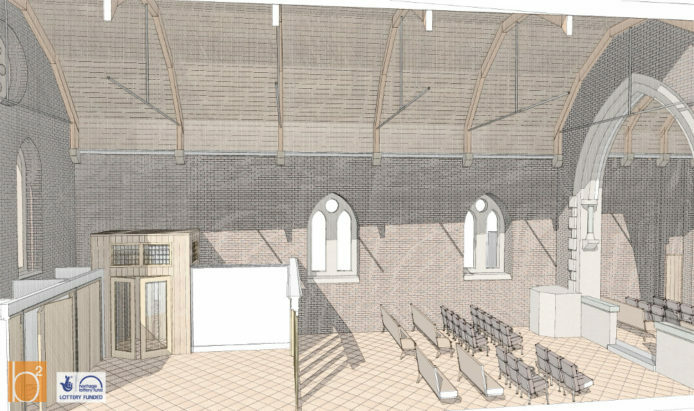 The vestry will be converted to provide accommodation and space for study and research. The rear of the nave will provide exhibitions and educational resources to help visitors learn more about the island’s fascinating history and nationally important wildlife. Facilities will be provided for special interest groups such as the Lundy Field Society and universities to undertake research and hold talks. It will also provide educational facilities for the school groups that come to visit Lundy’s unique natural environment and who at present have no wet-weather base. As it has done for the last 120 years, St Helen’s will continue as a place of worship and as an incomparable setting where people can celebrate important events in their lives such as baptisms and weddings. In October this year the island will celebrate the wedding of two islanders for the first time in 41 years; and the bells will ring! The Landmark Trust, who manage the island, have long acknowledged the contribution to the island’s economy that the ringing community makes through revenue generated from the ship, accommodation and, of course, the Marisco Tavern… so ringing really does support the work of the island! Importantly, the bells will remain available for visiting bands during the restoration work. In all £1.6 million needs to be raised to complete the restoration and refurbishment. The Heritage Lottery Fund have pledged their support and will give £857,000 to the project providing £400,000 can be raised amongst those who love Lundy. With over £200,000 still to raise we hope that bellringers who have visited Lundy contribute to this important project to ensure the target is reached and to enable the work to start in the spring of 2017. Our deadline of November 2016 is rapidly approaching and your gift, whether small or large, will make a difference to the project’s success. Please do give serious consideration to supporting the project, especially if you have enjoyed the magic of a visit to this amazing island. Alternatively you can send a cheque, payable to ‘St Helen’s Church Appeal’, to the address below. If you are a UK taxpayer please consider completing a Gift Aid form which you can download from the website as it will enable us to receive an extra 25p for every £1 you donate.